Gorgeous Pacific Station townhome located in a prime corner unit with a balcony offering Downtown Encinitas views. Enjoy granite countertops, stainless steel appliances and much more! Community amenities of Pacific Station include a fireplace, outdoor BBQ & lounge area perfect for San Diego’s endless summer days & nights! Steps away from restaurants, shopping and just a short walk to the beach; this is ultimate California living at its finest! Other amenities of the project include three outdoor furnished patios for gatherings, including a BBQ with high top tables and chairs, secured underground residence parking with 2 spaces, and a 4x8x8 storage space. 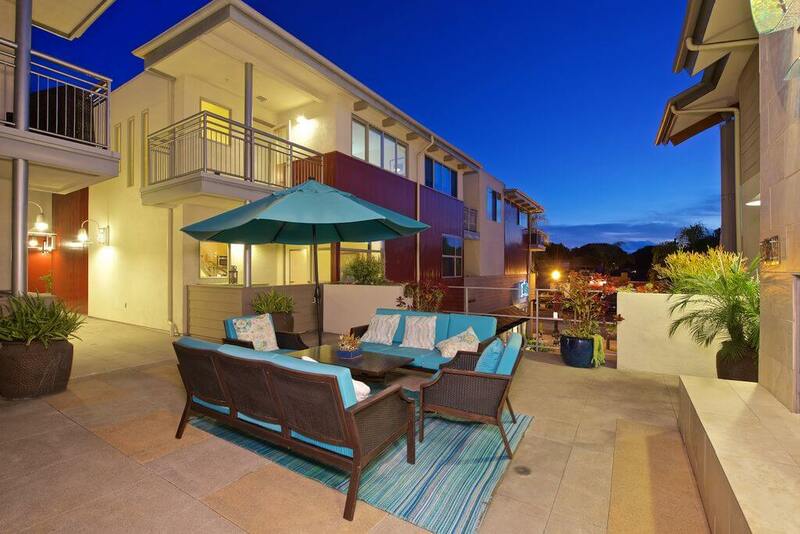 Open your front door to all that Pacific Station and downtown Encinitas has to offer! Boutique shops, services, Bier Garden and the renowned Solace at the Moonlight Lounge Restaurant occupy the ground floor! This charming award winning coastal town also boasts Swami’s beach that is known by surfers all over the world! Enjoy family time at Moonlight beach with it’s $4.8 million dollar makeover! New facilities include concession stand, showers, restrooms, fire pits, picnic tables and walkways. Walk to the mass transit system to visit the Del Mar Racetrack, Zoo or other world famous San Diego locations! Make this extraordinary townhouse your permanent residence or perfect second home!